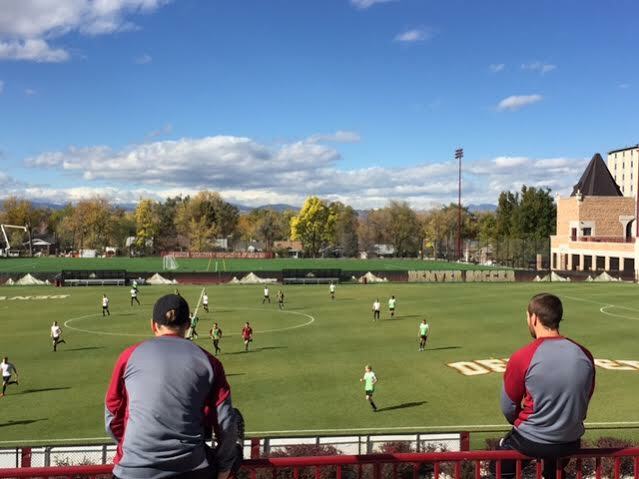 Head Coach Jamie Franks & Assistant Coach Levi Rossi survey practice from the top of CIBER stadium Wednesday. Their team is reaching new heights, too. 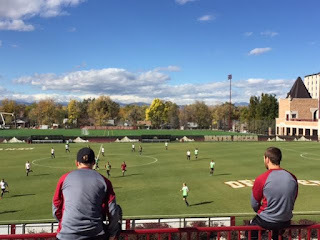 The #7 ranked Pios can become the first undefeated D1 team in DU athletics history. They must get beat or draw IPFW on Saturday to make that happen. Fort Wayne will be playing for their playoff lives, so it won't be a walk in the park for the Pios. Good luck Pioneers - make history!